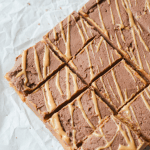 These Keto Chocolate Peanut Butter Fudge Bars are an easy to make indulgence that will satisfy your sweet tooth in a guilt free way. Alright, who needs a treat? This has been a loooong week, not bad…just long, and I could definitely use a fun dessert and a nap. Especially because it’s been pouring rain for the past couple of days and that’s my favorite sleepy weather! Anyway, in the spirit of the mood, I have a really easy dessert for you that can be made quickly with the keto staples you probably already have in your pantry! But it’s not! It’s Keto-friendly, and very easy to make. Best part is there are only 2.4 net carbs per piece. 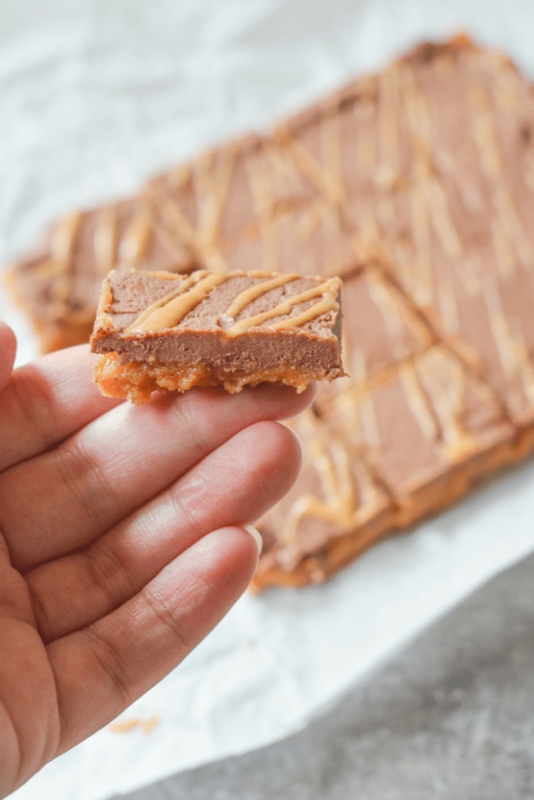 One important note about Peanut Butter: although it’s completely delicious, you should remember to only buy natural peanut butter with a maximum of two ingredients: peanuts and salt. I know some people choose to avoid peanut butter altogether. If that’s you, just use almond butter instead…it’ll be just as tasty! If you’ve been tracking your nutrition on Keto for any amount of time you know that companies can be VERY tricky with their labels and cram hidden carbs in there without you really knowing. 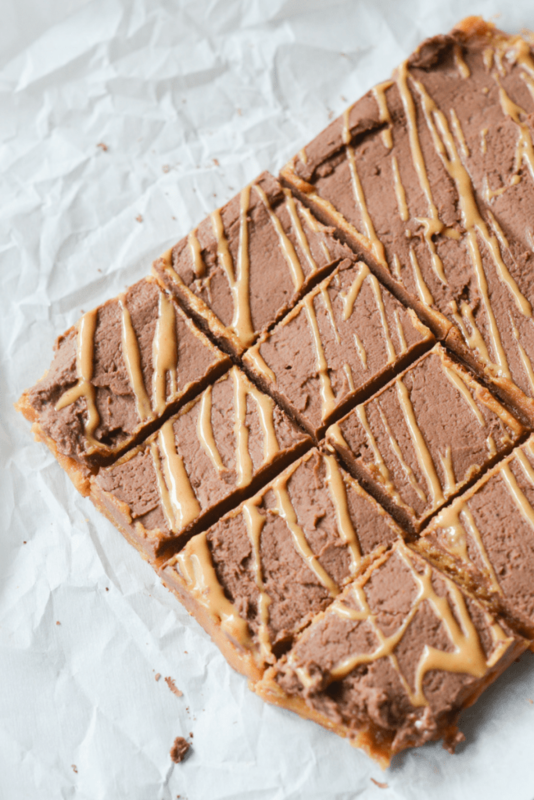 All you’ll need for this recipe is peanut butter, heavy whipping cream, a Bakers chocolate bar, cream cheese, butter, and powdered erythritol (I love to use Swerve). After just a little mixing you can just pop it in the freezer to harden before sinking your teeth into your new favorite keto dessert! You have powdered swerve listed for the chocolate layer, but no where in the directions do you say to add it. Can you clarify please. Fixed. thanks for catching it! Pure heaven. This is exactly what I needed for Easter, while I’m watching my kids chow down on Lindt easter bunnies and cupcakes! !